If you are looking for a holiday in both modern and completely disconnected from reality, then Dubai may be your next travel destination. The money poured in has made ​​this small Arab country immeasurably rich. But oil is not eternal, it is another reason the government decided to encourage mass tourism projects to ensure tomorrow lucrative UAE. Dubai is the demonstration of the absolute excess of the country. Islands shaped like palm, the most luxurious hotels in the world, and a ski slope in the heart of the desert and soon the tallest tower in the world. In short, a country of excess absolute will do everything to seduce you. 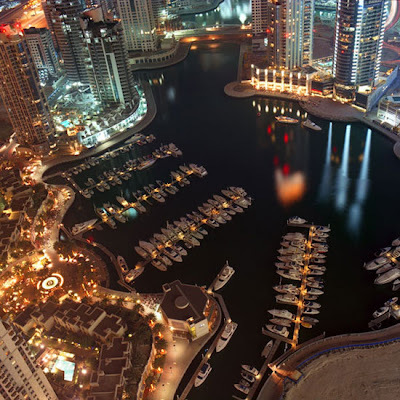 While it is true that the tourism sector of luxury is extremely well developed in Dubai, it is still possible for ordinary people to travel there. You can find trips in small budget for a whole week, including flights, in low season. For Dubai, the trick is to leave when the others work, because prices can rise very quickly. If you decide against traveling to Dubai in low season, you'll get a cheap trip with all the quality services offered by the city and naturally with the unbearable heat of summer and less. Not bad isn't it?